The parking lot at 7194 Clairemont Mesa Boulevard will be paved Friday and Saturday, February 18-19, 2011. This will limit access to Curds and Wine; you might need to enter through the back entrance during this time. However, we will be open during this period. We apologize for any inconvenience! If you love wine, share your love with someone special by making a batch on site at Curds and Wine! We have a special offer for Valentine's Day weekend, from February 10 through 13 buy any 2 wine kits to make on site, pay one half price vintning fee of $50. That includes use of all of our equipment, we walk you through the winemaking steps, and we clean up after each step! You also get 30 personalized labels printed out at the shop to put on your finished wines. We also have some adorable sheep Valentines printed on recycled paper with wildflower seeds in the paper from our friends at Green Field Paper company. Your special Valentine can actually plant their card in the ground or in a pot, and in a few weeks they'll have beautiful wildflowers growing! What is more romantic than making your own port at home, or of course on site at Curds and Wine? 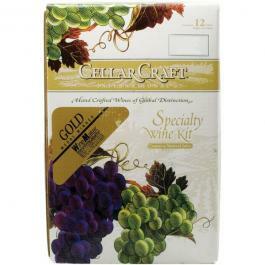 We have some excellent port kits from Cellar Craft that take approximately 6 weeks from start to bottle. We have both "classic" port style as well as "Porto Corinto", with black currant, exclusive to Cellar Craft. Both of these ports are drinkable soon after bottling, but will benefit from a year or two of bottle aging. Start one now with our Valentine's Day weekend special, or to give as gifts this winter! Join us for our FREE winemaking demonstrationto see just how easy it is to make your own wine, at home or on site at Curds and Wine! We will go through all of the basic steps of making wine from kits, from start to bottle. This will be an interactive demonstration, you will have an opportunity to take part in winemaking steps hands-on. This demonstration will take about an hour, and then you can start your own wine! There is no charge, and you will get 10% off of any wine kit if you purchase one following the demonstration. Discover how easy and rewarding it is to make your very own wines! The two more Limited Edition wine kits will be released this month! These include Italian Primitivo from Winexpert, and Chateau du Pays from Cellar Craft. If you already signed up for these kits we will email you when they arrive. A great way to improve your winemaking skills and techniques is to attend the Winemaker Magazine conference in Santa Barbara, CA this year. The conference is May 20-21, and if you register before March 1 you save $100 on registration fees. Register early, as this conference has sold out the past 3 years! There are several amazing seminars and workshops at this conference specifically about kit winemaking, as well as making wine from fresh/frozen grapes and even vineyard management. It's also a great place to meet winemakers at every level, and get new insights and perspectives of winemaking. You can also enter the 2011 Winemaker magazine International Amateur Wine Competition. Entries are due by March 4, 2011, and entry forms are available at the shop or online. If you enter a Winexpert kit and win a medal, Winexpert will award you an equivalent free kit (maximum 2 per contestant)! If you do win let us know, we'll help you get your free kit. Chris Banker, a local cheesemaker and homebrewer, has organized a cheesemaking list group. Quoting Chris, "If you have any questions about cheesemaking, equipment, how to get started, how to make different types of cheese, how to progress to hard cheeses, etc., don't hesitate to post them to this list." I'm sure the discussions on this list will be very informative and educational, and may turn into a local cheesemaking club! You can join this group here. 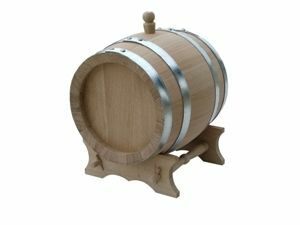 We are looking into stocking oak barrels for home winemaking and vinegar. The barrels we are considering are made of Hungarian oak, and come in a variety of sizes. We would most likely stock 5.3 and 6 gallon wine barrels, and 1 and 2.6 gallon vinegar barrels. If you are interested in barrels of any size of type, we would love to have your feedback before we invest in this stock item. Please email me if you would like us to carry these barrels or alternative items.